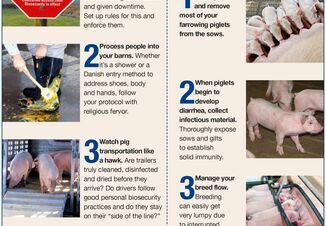 African Swine Fever Spread Continues in China – How Many More Cases? China reported another outbreak of African swine fever (ASF) on Thursday this week, threatening the country's crucial pork industry, reports the Associated Press. As with the other cases, Chinese officials say they have the situation under control, but that seems unlikely given the distance and dense pig population between the reported outbreaks thus far. Chinese officials took drastic measures earlier this week, when they ordered WH Group Ltd, the world’s top pork producer, to close one of its slaughterhouses to help control the disease spread. The packing plant was the source of an earlier outbreak. (Read the article here). The plant is one of 15 controlled by China’s largest pork processor Henan Shuanghui Investment & Development, a subsidiary of WH Group. Shuanghui also owns Smithfield Foods, the largest pork producer in the U.S., so there is additional concern about keeping the disease out of the U.S.
Shuanghui said in a separate statement last Friday that it culled 1,362 pigs at the slaughterhouse after the ASF infection was discovered, reported Farm Journal PORK’s Sara Brown in the article. It is unclear how this disease is moving through China, reports the Swine Health Information Center (SHIC). “Authorities have launched intensive nationwide checks on individual farms and offered to compensate farmers for any loss of livestock,” a Bloomberg article reported on Thursday. “The measures are intended to improve containment measures after an outbreak of another viral disease, porcine reproductive and respiratory syndrome virus, known as blue-ear disease in China, in 2006 caused the death of millions of pigs and led to a quadrupling in pork prices the following year. The virus is present in a number of countries in Eastern Europe, Russia and Africa. Many countries don’t reimburse farmers for their losses, either from the virus or from eradication efforts. As a result it often goes unreported, which creates a situation where the disease is likely to spread because farmers are hesitant to report it. ASF has no human health implications nor does the virus travel through consumption of pork, according to the United Nations’ Food and Agriculture Organization (FAO). But it is highly contagious and often fatal to both domestic and feral pigs. There is no vaccine to control the disease. "Left undetected and unaddressed, all exports would be halted, driving prices down by 40-50 percent. Good security and biosecurity practices are critical for protecting farms from foreign animal disease." The Pork Board sees this newest threat as one more reason the U.S. needs the Secure Pork Supply program, so the U.S. industry is better able to respond to a foreign animal disease that may enter the country. China is the world’s largest pork producer, producing as many as 600 million pigs annually. China is the primary reason why pork in the No. 1 consumed meat in the world. It accounts for more than 60% of the animal protein consumed in the country, said the AP article. China has made considerable efforts in recent years to move from backyard, smallholder production of pork to large, modern facilities. The discovery of ASF in China may set that forward trajectory back. 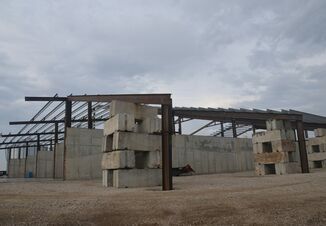 Beijing Dabeinong Technology, another large Chinese pork producer, told Reuters on Monday that a large portion of their newly expanded pig-farming capacity sits idle because of the disease risk. That move has increased the company’s production costs and pushed it into its first loss in years. 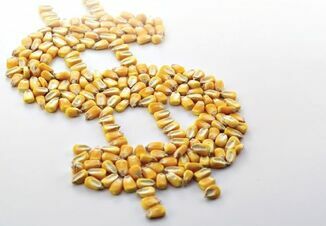 The second factor, it says, is higher cost of soybean meal due to tighter feed supplies. Slight Relief for the U.S.? While no one wants to see unfortunate losses for other countries, the ASF situation in China may help improve prices of pork in the U.S. It also may have a positive impact on upcoming trade talks, as China will likely need to import pork if the spread of ASF continues. Because the disease is now present in at least four provinces, the likelihood of more ASF reports is a certainty. Why, with this news are hog futures going lower?